Hotwire® is a leading discount travel website that has been offering travelers deep discounts on unsold flights, hotel rooms and rental cars since the year 2000. The site’s opaque model of booking (the name of the travel partner is not revealed until after the customer has purchased the reservation) allows Hotwire to provide travel deals that are significantly below published prices. 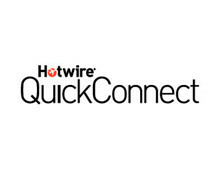 Hotwire is an operating company of Expedia, Inc.